Soon people will stop referring to Fantastic Arcade as “The best indie gaming event you’ve never heard of”. 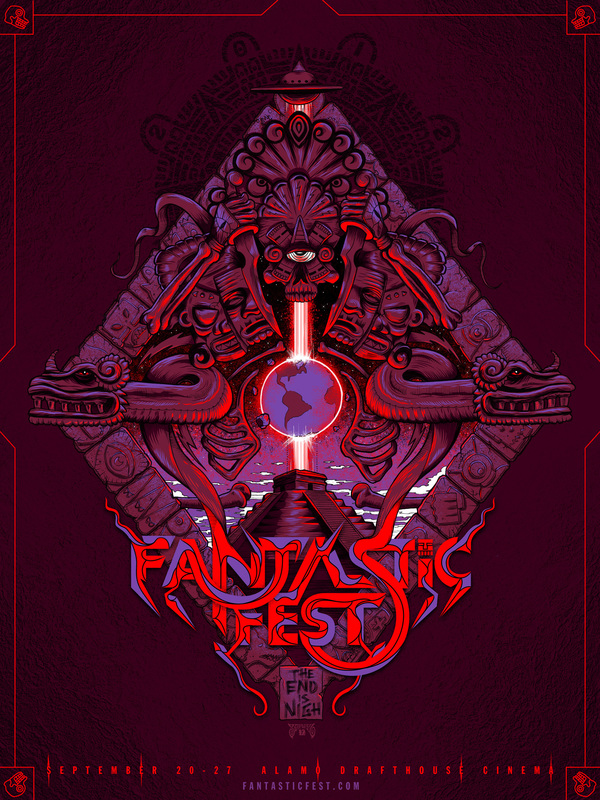 Integral part of Fantastic Fest (Über-hip arthouse sci-fi and horror film festival), happening in sunny Austin TX just a couple of weeks before Indiecade, the 3-years-old, 4-day-long festival, seems destined to become a fixture in the calendar of indie game people of all kinds. Aside of the diverse selection of games, the informal talks, the relaxed and alcohol-fueled atmosphere, the great movies, and the great people that were part of the package, I’ve seen a couple of remarkable things I wasn’t quite expecting to see. Pioneering art/games collective Kokoromi presented the Dancingularity party, possibly the first experiment in dance floor gamification. 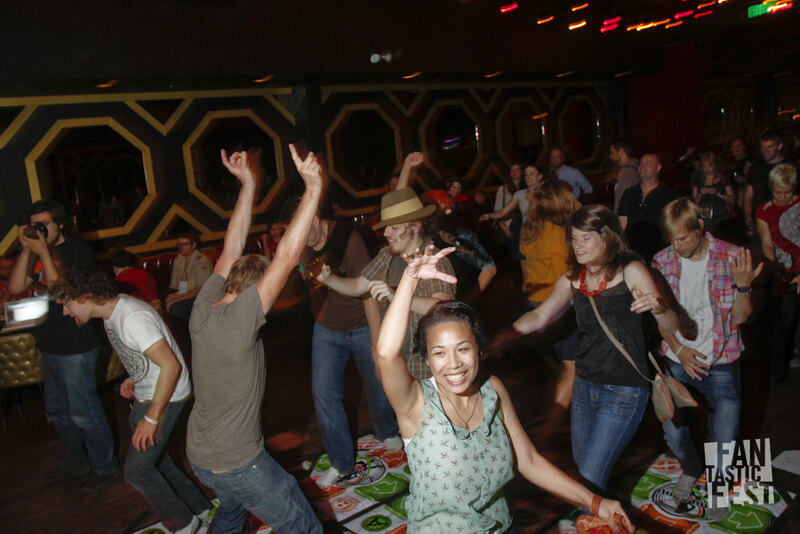 Party-goers occupy a 3×3 matrix of Dance Dance Revolution pads producing a kind of heat map on a corresponding grid projected on big screen. The visuals are further processed in real time by a “Dance Master” who can trigger events and switch stages in relation to the music or the crowd. Good music kept the party going, but dancers tended to stay confined in their own cells while lurkers like me speculated in the dark about the relation between video and input. I wonder if a more meaningful interaction and a slightly more complex set of rules could have produced some fluidity, emergent behaviors (in a self-aware game-of-life dancing cells kind of way), or a new type of bodily negotiations on the dance floor. I’m looking forward to see further developments of this format. Terry’s minimalist avoidance game is receiving universal acclaim and becoming an instant iPhone/iPad classic. As it turns out, it can mesmerize spectators as well. There is something profoundly alien (or maybe profoundly human) in a crowded room gasping and cheering at one pulsating shape on the screen. What makes such a simple and brutal game an enjoyable spectacle? 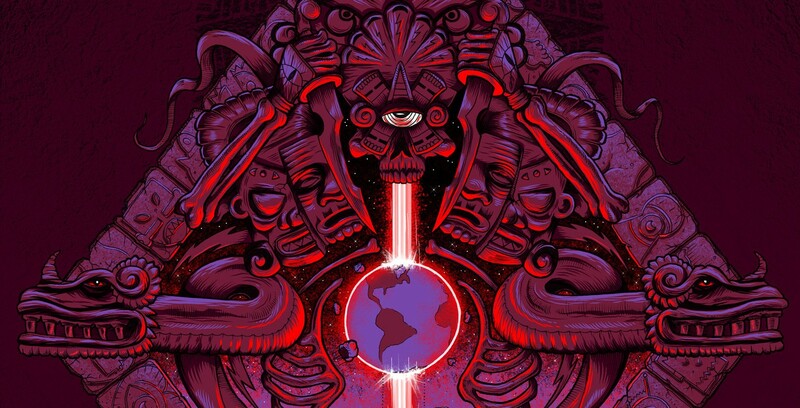 Is it the hypnotic visuals coupled with music? The absolute clarity of presentation? The sense of being constantly on the edge of failure? Part of the Sony-sponsored section of the exhibition, this little punk game may simply be the only thing that justifies a monstrosity called Playstation Vita. 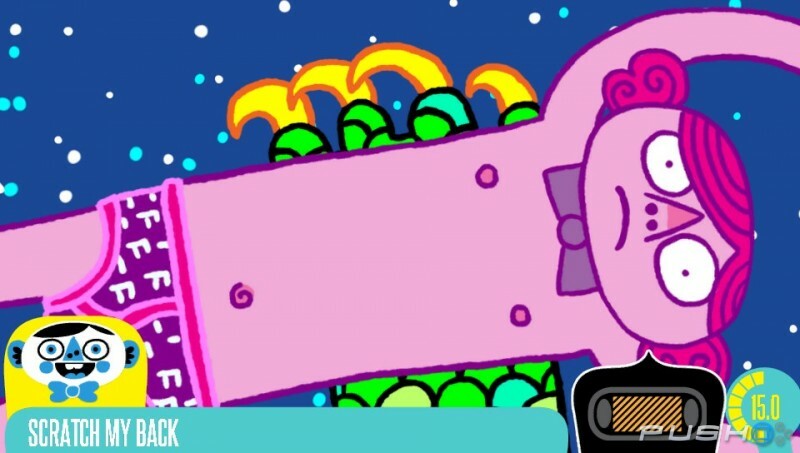 Frobisher Says is a collection of absurdist WarioWare-like minigames where the main task is to quickly figure out what to do, rather than mastering certain mechanics. I assume it was conceived to demonstrate all the technical features of the PS Vita, but in my eyes it felt like a clever prank ridiculing its own platform. The protagonist, an annoying British brat, assigns you a series of nonsensical tasks that involve operating on one of the maaany available inputs: buttons and directional pads, analog stick, multi-touch screen, front camera, back camera, dorsal buttons, tilt sensors, microphone, and the baffling secondary touch screen on the back of the device. The player ends up juggling and groping the baroque gizmo, frantically looking for the appropriate sensor. So insane. So meta. Oddly, one of the best works I’ve seen in Austin wasn’t part of the festival but was demoed informally during a party. Panoramical is a collaboration between Argentinian (although Mexico-based) developer Fernando Ramallo and Proteus composer David Kanaga. The software toy uses an 8 channel mixer as input device: every analog slider and knob controls an element of a generative virtual landscape and a track of a multilayered ambient soundtrack. The result is a beautiful, rich, synesthetic experience and/or a promising tool for real-time audio-visual performance. 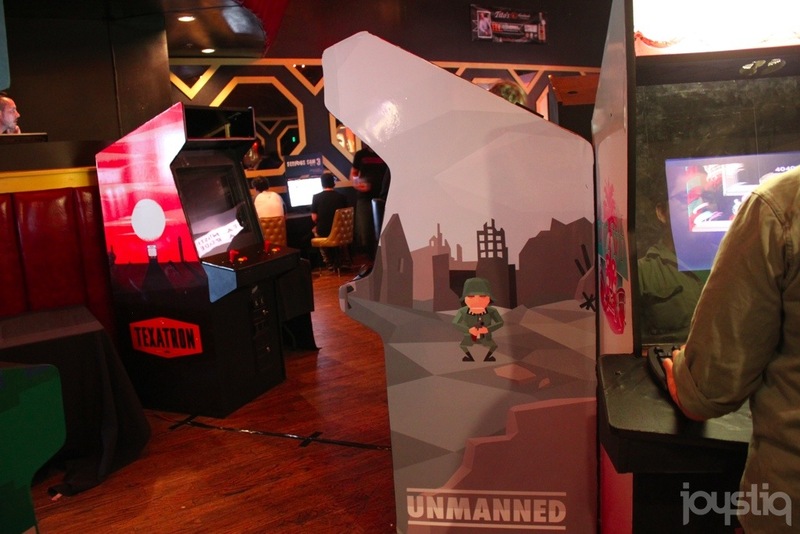 And yes an “arcade” cabinet of Unmanned was there as well. Picture taken early in the morning with nobody around, I suppose.